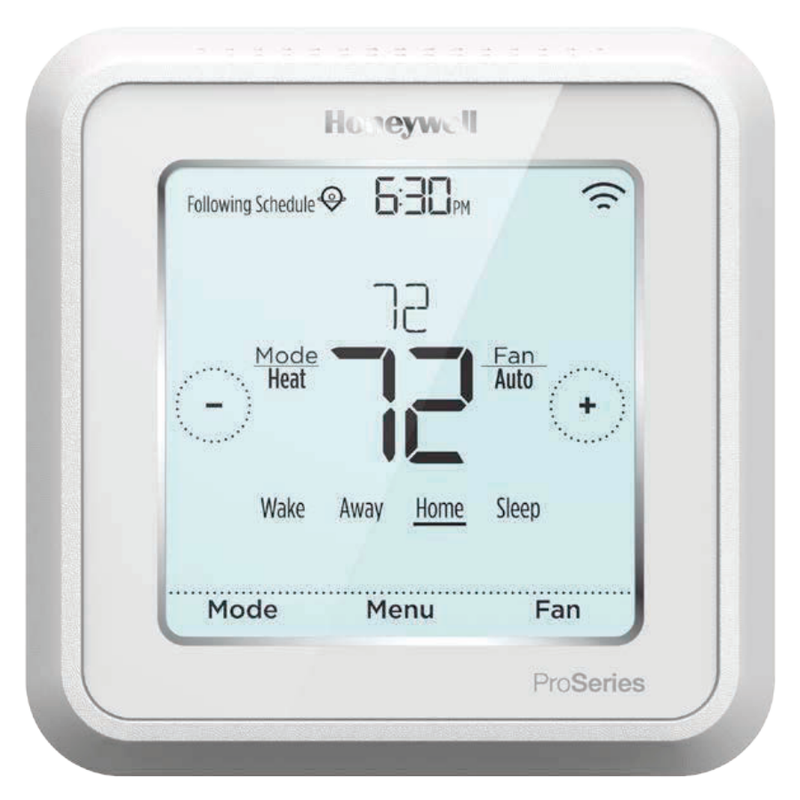 The Honeywell Lyric QC-TH6320WF2 is a T6 smart thermostat lets users control there temperature automation. With the Lyric QC-TH6320WF2 you can control up to 3H/2C heat pump and 2H/2C conventional. The Lyric thermostat is perfect for people who are alwasy on the run and want the best comfort and savings so they don't even have to thinking about it. By entering smart cues in the QC-TH6320WF2 Lyric smart thermostat, you can set your fixed schedule to fine-tune your temperature control. With Geofence, Lyric users can use their live smartphone location, and the Lyric thermostat can be set to automatically adjust the temperature as they come and go. DIYer's can adjust it from anywhere using a smartphone or tablet, ensuring maximum comfort when at home and energy savings whether they are home or away. The QC-TH6320WF2 Lyric smart thermostat model is the next generation of connectivity that is compatible with the Honeywell Lyric Controller (LCP500-L). The Lyric App allows you to control the thermostat with your smartphone or tablet. Display Size: 6.89 sq. in.